Coastline Housing reached out to Kinect Energy Group as their Estate Management Services provider in June 2017, when they had problems with the boilers in their head office in Redruth in Cornwall. Kinect diagnosed a supply disruption due to extremely low gas pressure. The challenge was to find out the cause of the issue and rectify it as soon as possible to avoid any safety problems. 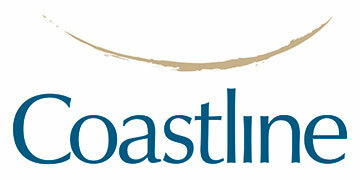 Coastline contacted Kinect right away, having worked with us since 2010. The Kinect Account Manager took ownership of the problem and treated it as a matter of urgency. The local gas network operator Wales and West Utilities attended site immediately to inspect the gas supply. They confirmed there was no problem up to the meter. The problem appeared to be with the meter itself. Responsibility for the meter lies with the Meter Asset Manager (MAM) who is appointed by the energy supplier. As a next step Kinect alerted the gas supplier Total Gas and Power. The local network operator was required to return to site that afternoon to switch off the gas supply. This made certain that any potential fault with the meter was made safe before the MAM arrived. The following morning the Kinect Account Manager contacted the gas supplier again to ensure a post gas emergency job was booked for that same morning. The MAM then arrived on site and repaired the faulty meter and the gas supply was switched back on. Kinect kept Coastline Housing updated throughout the process and informed them of the timings of all engineer visits to site. The investigative work and repair were completed within 24 hours of bringing the problem to Kinect’s attention. Kinect’s estate management services for Coastline Housing give them the reassurance that they are managing their energy supply cost effectively, efficiently and safely, leaving them to focus on their core business of providing social housing for those most in need. Kinect also provide energy procurement and prepared Coastline Housing’s VAT declarations, so that they were charged at the lower charity rate. In addition, invoice validation services saved them almost £11,000 in incorrect charges. Kinect have now arranged for all gas meters to have AMR loggers so that actual reads can be taken to give Coastline Housing accurate billing. Providing a good service to Coastline Housing’s tenants is very important and Kinect help them by securing supply contracts that have fully transparent costs for each meter, so that each tenant can see what they are paying for their home. They also assist with change of ownership and new homes so that the gas and electricity supplies are with the chosen supplier who provides the preferred bill and payment terms.